Is it Legal to Explore Centralia, Pennsylvania? Is it Legal to Explore Centralia, Pennsylvania? 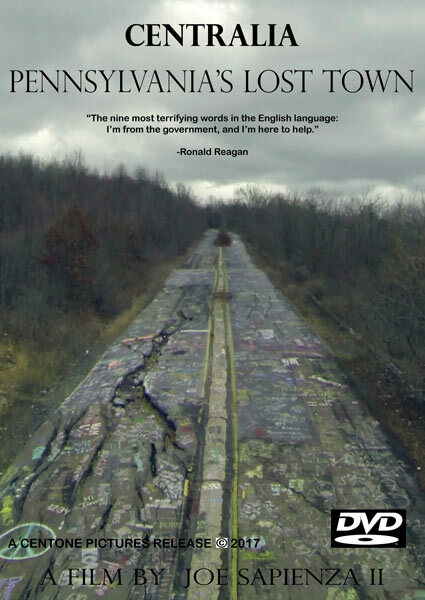 A few people have asked if it is legal to explore the town of Centralia, Pennsylvania. In short, there is nothing stopping visitors from driving into the borough, parking, and walking around. 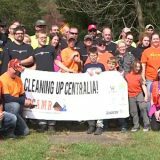 A majority of Centralia is owned by the Commonwealth of Pennsylvania. It was acquired through the power of eminent domain in the early 1990s. In that sense, most of the land within the borough is public property. At present, the state has chosen not to post “no trespassing” signs around Centralia PA. Though for liability purposes, they had erected signs warning visitors of the dangers posed by exploring the mine fire burn zone. These have since disappeared. If you are considering a trip to Centralia, it’s important to remember that there are residents still living there. They won the right to stay there after a settlement with the state in 2013. While these residents technically do not own their properties, they have the legal right to live there. They should be treated with respect. Don’t wander around their properties or attempt to enter their homes. That, most certainly, would be illegal trespassing. Also, keep in mind that a few places around Centralia Pennsylvania are not owned by the state and, therefore, are private property. These include the borough’s Municipal Building and the Assumption of the Blessed Virgin Mary Church. Visiting Centralia, PA can be a really interesting experience. If you make a trip there, please be respectful of what is left of the town. Avoid littering, vandalizing, or stealing. Most of all, don’t bother the remaining residents. Stick to exploring the road, paths, and abandoned areas. 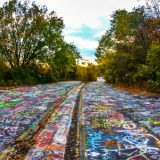 Is Visiting Centralia Pennsylvania Dangerous? Where Has Centralia’s Steaming Mine Fire Gone? I was recently informed that you can no longer trail ride through centralia but I called the state police and they said you could. Do you know what the situation with trail riding is on the land. I was in Centralia August 8th, 2015. There was a man and his family drove up old highway 61 in a pickup! There were several quads on it as well with some people drinking. A dirt bike was there too I guess the driver was possibly over a quard rail exploring something. If there’s any such limit now I didn’t witness it. I can confirm the main roads through Centralia are blocked because a large section collapsed recently. Near where the bike shop was. Hi Todd. Do you have any additional info or pictures of this subsidence? Is it near where Routes 61 and 42 meet? I do not, but it is where Speed Shop was, the business that was torn down a decade ago or so. Gotcha. 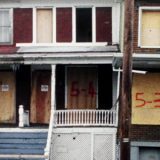 That was at the corner of 61 and 42: http://www.centraliapa.org/the-speed-spot-centralia-pa/ We’ll put out a call to see if anyone has some pictures. Thanks for the heads up! The area is passable again as of 9/7/15. I was there around 9:30 AM today. Hi Todd. Great report and thanks for taking the time to send along! I really appreciate it and will share with our readers. Thanks again! You can certainly go up the building and the cemeteries. The building will likely be closed, though, as will the cemeteries that have gates. 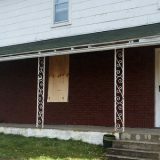 Regardless of whether property is privately owned or owned by state/local government, people are still not free to trespass and vandalize these properties. The fact that you find a door or window broken doesn’t make it legal for you to enter. If “tourists” stay on highways streets and sidewalks (if any still exist) they should be ok, unless state/local government prohibits that at some point as well. The fact that large sections are still collapsing suggests that poking around Centralia, while intriguing, may be hazardous to your health. I visited a “ghost town” in Colorado where “tourists” would go walking into private homes without even knocking! I was told that some “tourists” almost got shot over that. I really feel for the remaining residents of Centralia if the morbidly curious are harassing them in a similar fashion. Im sorry but my name is anastasia. I have a great interest in centralia and it crushes me that this place is just falling apart. I wish there was something….anything that could be done. Im only 14 but i wish to visit centralia when im 18. I just hope it has not fallen apart by then. For some reason i have an instant connection to this town and this is just devastating. Anastasia I was wondering if we could contact you for an interview. We are doing. A project on the town(documentary) and we would love your input. If we could set something up over the phone or Skype if you are interested email me at alexmarbach5@gmail.com or centralia@nhd.com so if you could contact us that would be greatly appreciated. I had an instant connection to Centralia as well, ever since I heard the story of this little town I was just attached. If only there were people allowed to live there, that could continue to keep Centralia alive if nothing but showing somebody still cares about the town and not the fire or Silent Hill . Hi. I was thinking and hoping to visit for my bday present next week. Im a huge fan of the silent hill video games and would love to visit the background story behind it. Is it still vistable? I dont want to over step my boundaries for the residents. I know this is a late reply , haha, but it’s still visitable. Just don’t scope out their houses, stare or go on their property because that’d be intrusion on their privacy. But you can definitely still walk around, I went there the other day. I think it was a big mistake to try pouring wet sand in attempt to smother fire. Once the water boils out the spaces between sand would , I think , allow air to more easily siphon in. I think wet clay would have been better. Are there any lists of internments in the Odd Fellows cemetery? Like most of you I immediately felt connected with this city, as well as some others that have had the same accident occur to them. I always wanted to buy one and redo the structures, clean them up etc. Possibly charge a small fee for upkeep and even rent the old stores, homes etc out to people who feel same way. Maybe build a historical museum in them for people to learn and appreciate the place. These places are rich in history, and need to be preserved. Devil Ducky. I have a list of those buried in the Odd Fellows cemetery, centralia. I would gladly look up anyone you want. Hi. My gr-great grandparents lived in Centralia in 1870. There are on the 1870 census but I can’t find anything else about them. I was wondering if either of them are buried in Centralia. Alexander McDonald born 1810 and Jane Gaughan McDonald born 1824. Is there anywhere to shoot a couple clays with a 12 gauge like you can do in st Claire. Also. Where is it safe to park a vehicle if you wanna buzz around on a quad? 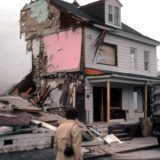 Appreciate any thoughts and or facts if you have… thanks , kinda one of those extreme outdoors guy..
@devilducky, you do know there are no more buildings other than the municipal bldg and 2 or 3 houses still standing, right? You would never know a town existed there if you weren’t aware of it. @britthebushmaster You can safely park anywhere except for in posted areas. There’s a quad running area on the far end of Wood Street, just past the cemeteries. Be aware of your surroundings, as the ground is prone to subsidence–and it can a long, long way down over there on top of Locust Mountain. As far as shooting, nah, take that elsewhere. There are still a couple families in the former borough that wouldn’t take kindly–and one of those gentlemen would have no qualms about running you out. Coal crackers come from a long line of rough trade. I just got back from Centralia. You can go and explore, but word of the mouth is that police are writing citations for trespassing in specific areas like “Graffiti Highway”. There wasn’t much to see, but I guess that’s the point. I do feel a little sick after being there, possibly due to carbon monoxide exposure. Either that or the 6 hours of driving there and back. I’m so ready to come see this place. Been wanting to come since I was about 13. I’m 29. The stars finally aligned and I can come in July. Any places of interest or info on what is off limits would be greatly appreciated. Status of graffiti highway and where the fire was thought to have started (landfill area) would be awesome to know about…like if they are off limits. Research suggests graffiti hwy is at this point. Went to Centralia at the beginning of July and it was truly an awesome experience for me. Graffiti highway really was something to behold. I had been informed of citations and policing prior to going, but found none of that to be being enforced actively while there. Many dirt bikes and people on foot walking the highway. Never saw police of any kind while there, but they may only come at certain times. Certainly not one stationed there actively running people off. Graffiti hwy is probably the most popular area to go visit because everything else is so spread out and barren. Houses here and there but not walking distance…cemeteries also. The church, I’m not sure what the deal was. No trespassing signs and ADT signs. Anyone know what the deal is with the church? Why you can or can’t go there? Based on bulletins posted online and the church website, it appears that as recently as April and May of 2017, Assumption of the Blessed Virgin Mary church in north Centralia typically had only about one divine liturgy service each week. It also seems that the pastor is in charge of another church as well and does not live in Centralia, so most of the week there is probably no organized activity on the grounds of the church. If the fire is active again and not venting hot gases from the workings, my guess would be that it’s going to be on the West side of South street towards Mt Carmel. There are a series of KNOWN gangways under that section of town, and my research, limited as it may be, has shown that the fire was moving that direction. I know when my late husband and I were up there in 2010, they had a sign on the top of South street which stated there was an active mine fire. Well YEAH! Since moving to PA in 2012 I have periodically gone up there as time and homework allows. On South street alone you can get ground temps between 85 and 109 degrees depending on where you shoot. Make no mistake, this fire is not out by any means and I strongly suggest caution if you go adventuring. I typically stick to the paved areas as these places on South street are of particular interest. DO NOT harass those who are still living there and be respectful of the town and the fire. The days of Coal Region Hospitality sadly faded in the 1980’s. Have fun, but again, be safe and be respectful. I’ll check back in after my planned adventure on 19Jul17 and give you guys an update. That is actually not true. There are public roads you can still travel on in order to explore Centralia! blessing and prayers sent to you all. 40 YRS FIRE-WILD FIRE FIGTER` DOES ANY ONEKNOWWHO TO CONTACT TO RESOLVE IT? Who would be the best contact for genealogy research for the Centralia cemeteries? I had asked once before but no response. Really hoping to have better luck this time.I found my great great grand parents on the 1870 census. Information on them stops there and would like to see if they are buried in Centralia. I have had a fascination with Centralia for years and I really hope to visit one day. I am from the UK so I have a lot of saving up to do. I recently read that the fire could potentially burn for another 250 years which I just find fascinating as well as sad. Does anyone know of you are allowed to take pictures? Obviously, if the answer is no I would respect that. It’s America. Do what thou wilt. So mete it be. Can people still visit centralia. I want to go there tomorrow can someone comment as to if you can still visit? How far can you get in a vehicle vs on foot.